Earthlab is the new band of former Tubulah Dog, Hawkwind and Paradogs guitarist,keyboardist etc Jerry Richards, with long time collborator Alf Hardy, Steve Taylor (who did the 'Hawkwind' australian tour on bass), Barry Jones, Winston Blisset (Sassive Attack), Jon Moss (Culture Club), Chris Aldridge and former Hawkwind members Simon House, Ron Tree and Steve Swindells. Okay, on to the album! Seperated into five parts of the whole (earth, air, fire, water, quintessence), the album starts off with 'Separation By Skin', a brooding eastern tinged rocking tune with an omimous vocal from Ron Tree and some driving playing from Simon House and Jerry Richards. Great opener this. 'Eight & One' is a wistfull, uplifting track, with Ron Tree again on vocals in quiet vocal mode, as well as the playing of flautist Chris Aldridge and Jerry Richards, with playground effects that reminded me of 'By the Light of the Magical Moon' by T. Rex, although musically very different indeed to that. 'Back Seat Angel' starts with birdsong thunderstorms and car starting up noises into a dub dance type of feel, with Steve Swindells vocals coming in on fine form. Having never heard Steve's vocals it was a real unexpected treat as it's very unique and soulful, with floating guitar treatments. 'Thin Air' is along the same lines with another musical book opening up on this album, with some Byrds kind of guitar picking and laid back Hammond organ and Steve Swindells in passionate vocal form again. 'Digital Age' is sure fire space rock 'n roll! Kind of like a 21st century update of the Hawks 'Brainbox Pollution/Ejection', although that's lazily comparing it. But you'll know what I mean by the feel of it when you hear it, with Ron Tree rhythmically vocalising throughout. A really driving track. 'Wheels Part 2/We Took the Car' is an update of the track 'Wheels' (which first appeared on the 1997 hawkwind album 'Distant Horizons'). It's given a fresher rockin' treatment with psychedelic swashes abounding. 'We Took the Car' see's Steve Swindells in trancey disjointed vocal mode with a disquieting effect on confusion in the layers and play with words. The 'Water' section of the album segues in with 'Discovery: The Quest Begins', with Jerry Richards creating minimalist layers of sublime subtle ambience like a dream, with a whalesong calling to you with, to these ears, a kind of evoloution of mankind sound forming in the track. 'Liquid Crystal Clear' floats in soothing keyboards, dub heavy bass and drums, chiming reversed guitars and Steve Wwindells vocals weaving in and around the atmosphere created, with Simon House adding violins to said atmosphere, a musical landscape and push & pull to the track. Trancey and enchanting. 'New Light' ends the album with a layer of delicate keyboards into a drum 'n bass style rhythm with oriental piano touches into dynamic guitar bends and whooshes from Jerry Richards. This album really grabbed my time and attention. It's interesting for fans of Jerry's time with said past bands, and all those participating in 'Earthlab' too for that matter. But it's definitely fresh enough for those new too to his music. I would say this is the best yet from Jerry's musical map. It's that confident sounding an album (and that's some hard acts to follow in the back catologue!!). I rate this highly and urge you all to check it out. Top marks! 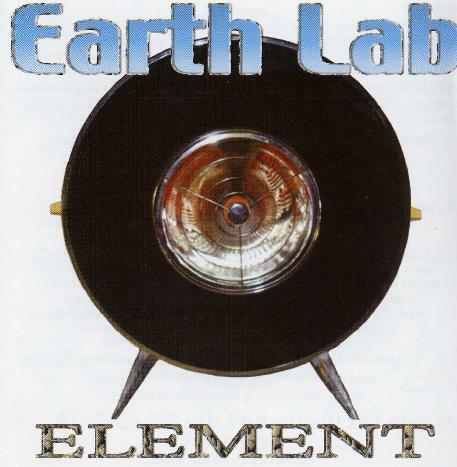 For more information you can visit the Earth Lab web site at: http://www.myspace.com/earthlab.